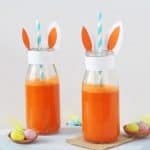 Packed full of Vitamins A and C, this Carrot & Orange Juice makes a really nutritious drink for kids and will help to balance out all that chocolate they’re sure to eat this Easter! So it is of course Easter this weekend which undoubtedly means lots of chocolate, sweets, creme eggs and all things super indulgent! 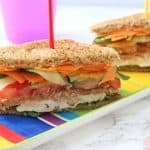 I’ve made my fair share of naughty treats in recent weeks so for my last Easter recipe I thought I would make something super healthy to balance out everything else that we are sure to be scoffing. 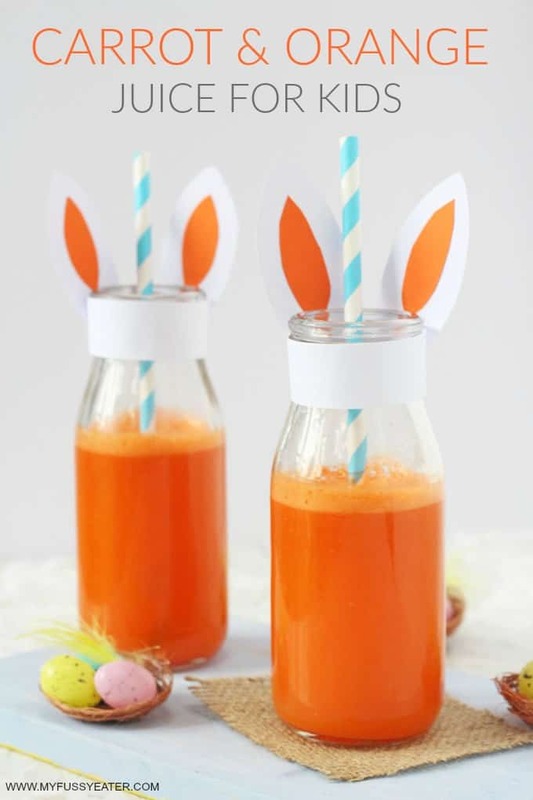 My recipe today is for this really nutritious Carrot & Orange Juice; so healthy its fit for the Easter Bunny himself! But before I go any further I thought I’d briefly mention my stance on juicing for kids. I know that juicing is a controversial subject for some people but like any other opinions people have on food or diets, you are of course as entitled to yours as I am to mine. My stance on juicing is this; my children don’t drink a lot of fruit juice. 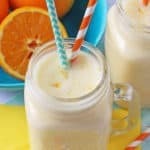 They tend to have it as a treat drink if we are eating out and from time to time at home. When I make fresh juice at home I tend to make it with more vegetables than fruit; which keeps the nutritional content high, but the fructose (or sugar) content low. 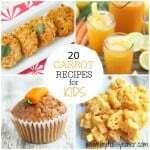 This recipe today is a classic example as it uses eight carrots but only one orange. I’ve had some nasty comments in the past when I have mentioned juicing on my blog or on social media so I thought I’d get in here first and just say that if you completely disagree with my point of view, that’s fine… just click the close button on this tab and leave it there! For everyone else still reading… lets get on with the recipe! For full ingredients and instructions, check out the video or written recipe below (and don’t forget to subscribe to my You Tube Channel to stay up to date on all my videos!). 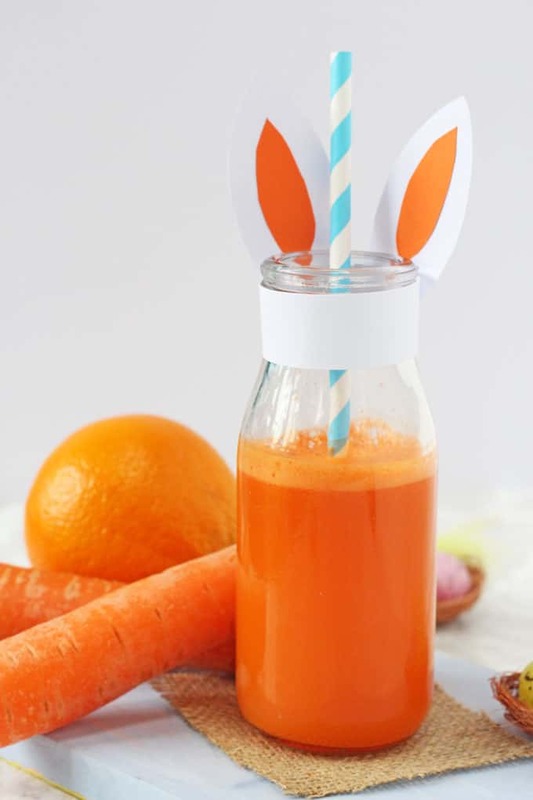 Oh, and if you want to make the bunny ears for the juice bottles; I simply cut them out of some white and orange card! Wash the carrots under running water and peel the orange. Juice the carrots and orange in a juicer and serve immediately. Such a good idea to compensate for all the chocolate that will inevitably be around at Easter! Love your presentation too, super cute. So cute for Easter! Delicious juice too.